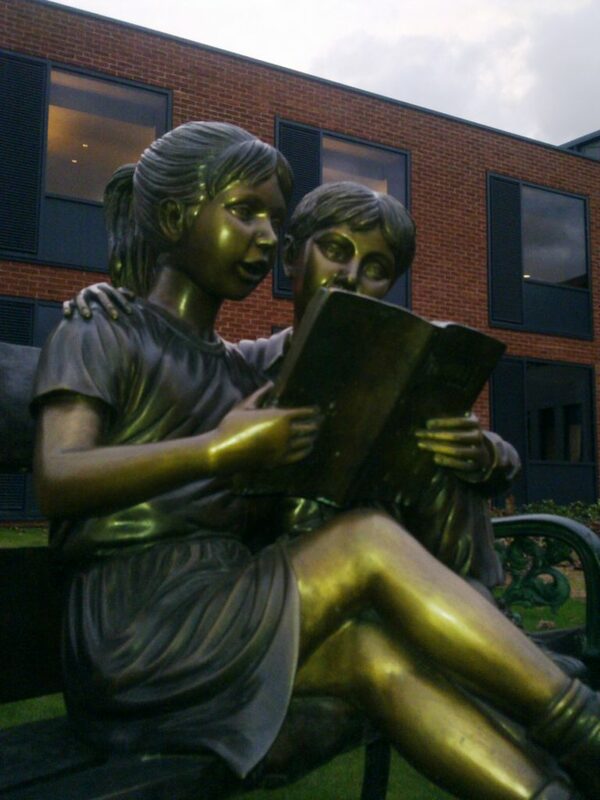 When we are appointed to a new-build project our aim is always to keep sight of the architect’s vision. 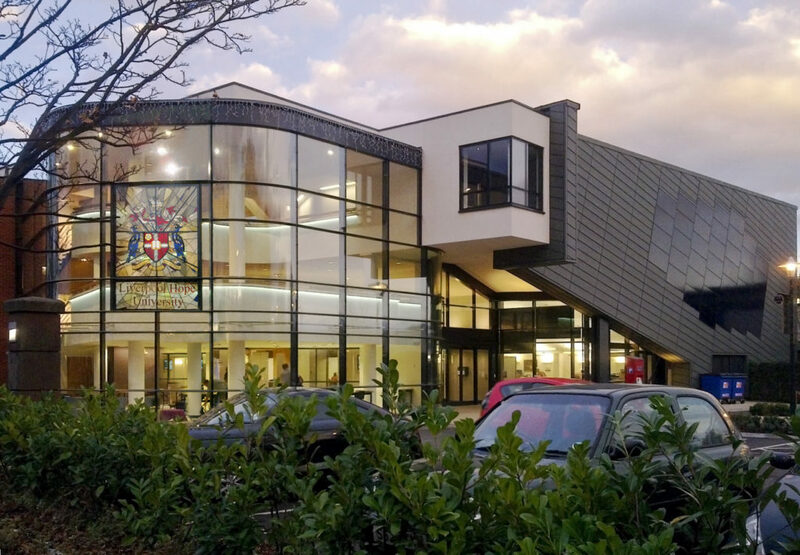 In the case of the Eden Building at Liverpool Hope University, we worked alongside Halsall Lloyd Partnership and were tasked with reducing noise within a complex structure. 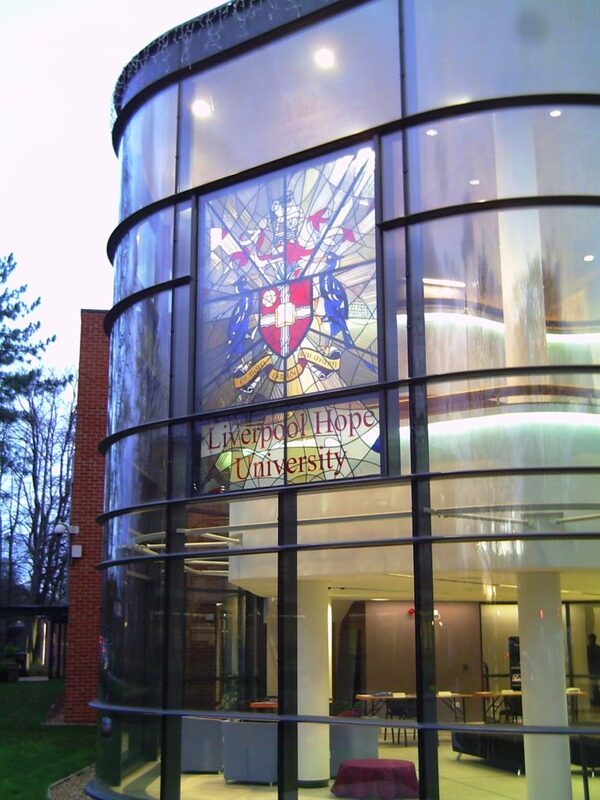 The Eden Building houses the University’s Education Department and the Hope Business Enterprise Gateway, providing opportunities for students to develop their own business enterprises. The structure includes a three-storey atrium and bridges between new and existing buildings, along with a multi-level exhibition pavilion. In addition the building features a 250-seat conference and lecture theatre, lecture rooms, open-plan offices and a café. Our appointment made reference to achieving a ‘Very Good’ BREEAM (Building Research Establishment Environmental Assessment Method) rating. 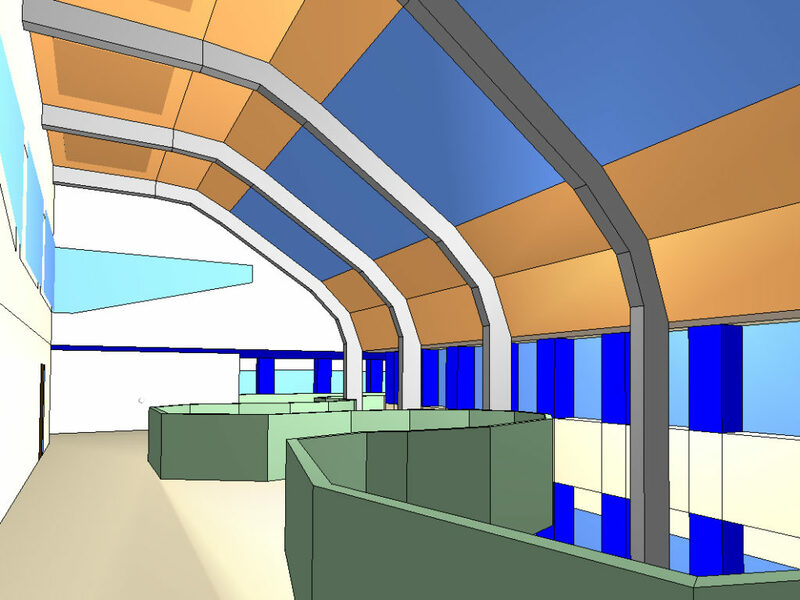 Our role included assessment of plant noise to the environment and acoustic design of teaching spaces. The lecture rooms posed a particular challenge as they were to be naturally ventilated, with air taken in from a relatively noisy adjacent street. To succeed in this area, we designed bespoke attenuated natural ventilators. 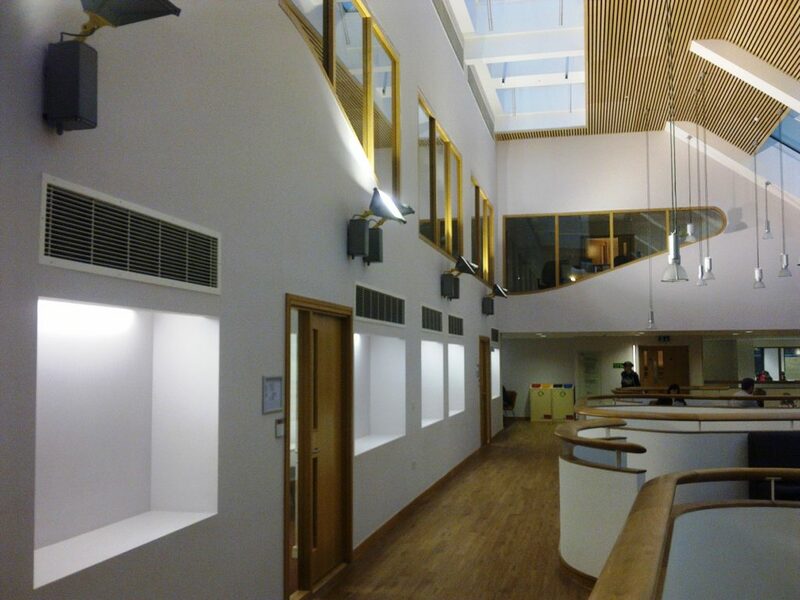 These minimised traffic noise and helped to control noise cross-talk” between the lecture rooms and atrium. The atrium itself is a busy working space housing help desks, temporary exhibitions and displays, catering and informal meeting areas. 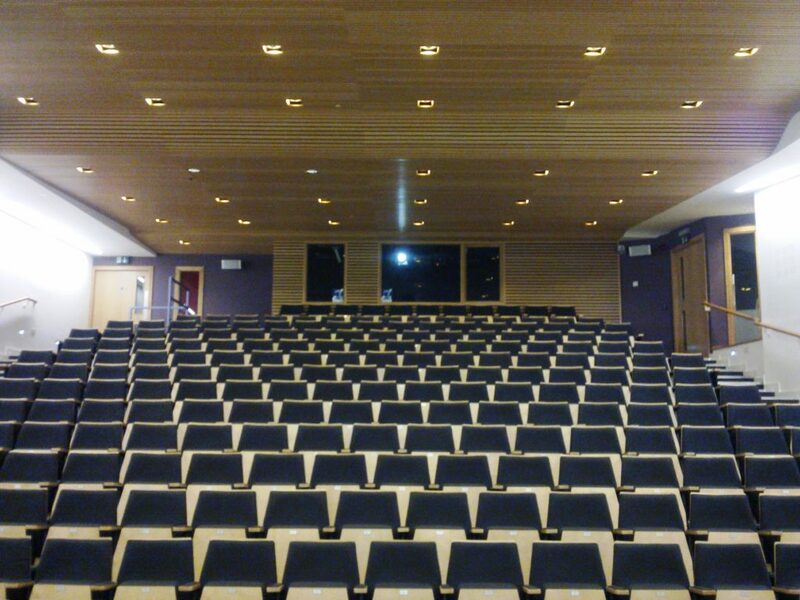 Extensive computer modelling allowed us to design an efficient combination of absorption concealed behind the slatted timber ceiling. Perforated plasterboard was used on other ceilings and to clad the façades of the existing buildings which form part of the atrium. This provides a good distribution of absorbent surfaces while maintaining the clean modern look desired by the architects and client.